Reader poll: Are real estate memes here to stay, or a fad that's already peaked? Real estate agents may have been late to the “Harlem Shake” party, and one broker found himself in hot water after employing the “Hitler meme” to ridicule a competitor. But 2013 was the year that Internet memes became further entrenched in popular culture, Pando Daily reports. The “Harlem Shake” found a place on top meme lists compiled by Wired, Time and Know Your Meme. Realtors jumped on that bandwagon in a big way (see videos below). 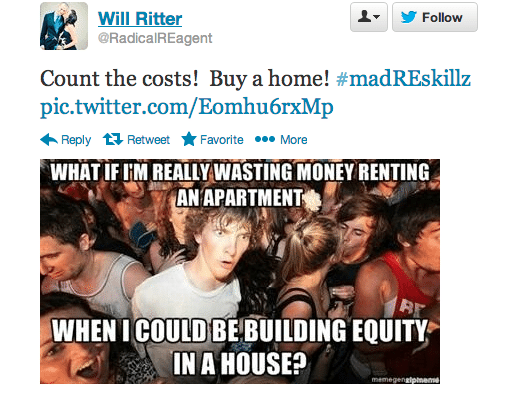 Memes — ideas and concepts that often spread virally because they are compelling or humorous — resonate strongly with millennials, rookie real estate agent William Ritter told Inman News in May. In a “#madREskillz” article, Ritter shared his strategy for cultivating clients on social media channels like Twitter with Inman News reporter Teke Wiggin. Ritter designs images like the one above in just seconds using the site Meme Generator. In a follow-up post on memes in July, “Coin your own real estate lingo for fun and profit,” Wiggin explored techniques for unearthing and creating real estate memes, citing examples found on the Sacramento Appraisal Blog and SoCalLife Team’s Pinterest board. While brokers and agents who create their own real estate memes may be seen as on the cutting edge, trying to surf a meme that’s already crested could backfire. Once real estate agents started doing the “Harlem Shake,” the real estate blog Estately suggested that they and other latecomers were to blame for killing the fad. At Real Estate Connect San Francisco in July, Ben Huh — founder and CEO of Cheezburger Network, the company credited with bringing Internet culture and memes to the mainstream — provided insights on how businesses can profit from the trend. Ben Huh on “Why laughter can be business’s best medicine” (2:56). 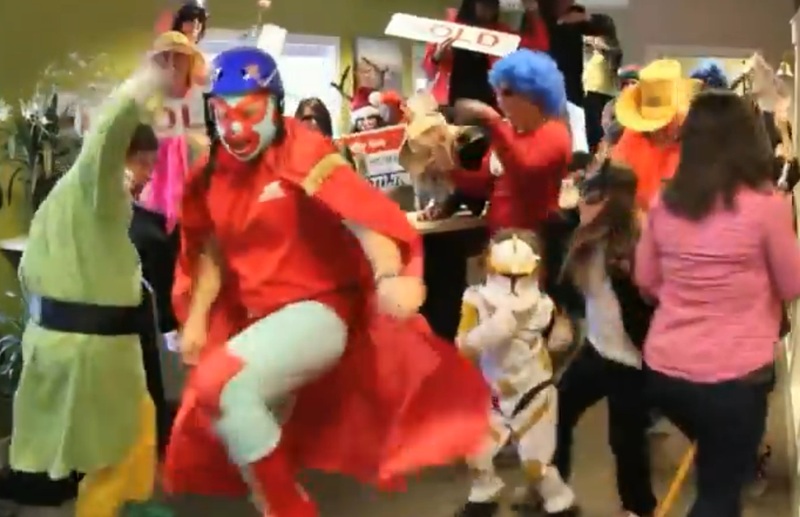 “Harlem Shake” video posted by Whitney Pannell of Prudential A.S. de Movellan Real Estate. “Harlem Shake” video by Adam Helton of The Deselms Team. Agents with Re/Max Essential in Wilmington, N.C., show how they roll. The crew at Dallas-based Better Homes and Gardens Real Estate David Winans & Associates gets in on the fun. The Anderson Real Estate Group’s Long Beach, Calif., office goes crazy.